From the moment I spoke with Cindy I knew she was the right person to officiate our wedding. She made us feel at ease and confident that everything would go well...... and it was absolutely wonderful. Cindy prepared for us personalized vows which was done effortlessly. 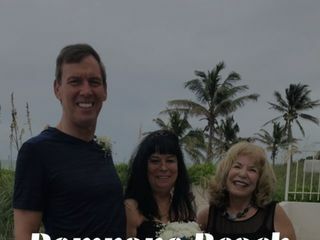 We would definitely recommend Cindy to other couples who want to have a wonderful, professional and kind soul conducting their wedding ceremony. Pat, you are a sweetheart! I can’t thank you enough for your lovely review! Lots of love to you and Alex and your beautiful family and friends! I did not want a traditional, lengthy ceremony. Cindy listened to all our thoughts and was able to create a relatively short, but still personal ceremony that wow'd our guests. You two are so adorable. We could all feel your love for one another! Thank you for allowing me to be your officiant. I wish you the very best that life has to offer! 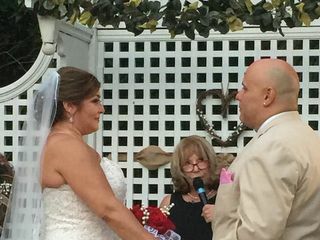 Cindy was the best officiant! She is so sweet, and we liked her as soon as we met her. She asked for our preferences and was flexible in changing anything that we requested based on preference or time constraints. She wrote a beautiful ceremony! It was so heartfelt and meaningful, and at times, even made us laugh. Although the ceremony is always meaningful to the couple, it typically feels like it gets lost among the other festivities for guests. However, at our wedding, we received an overwhelming amount of comments about our ceremony! Everyone laughed, cried, and thoroughly enjoyed it, even stating that this is the standard they will now hold for their future weddings. We could not have picked a better officiant! The first time I talked to Cindy on the phone I just knew I wanted her to be apart of our wedding! Once we got off the phone with Cindy, I looked to my husband with such excitement because she sounded like such a genuine heartfelt woman. I knew she was the one! 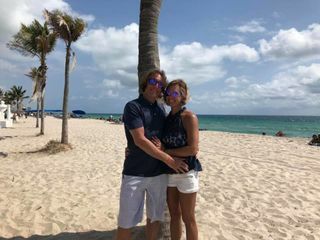 I felt we clicked with Cindy because my husband and I have an age gap and she went on to tell us stories about her son as well who is dating someone younger. On our wedding day, Cindy walked into the bedroom where I was getting ready and i was just so excited to finally meet her! 💕 The ceremony was just absolutely amazing. Right away one of the things that made me know I wanted to have Cindy marry us was that to Cindy, love is love. As she puts it, “all couples welcome”. I love that about her. She’s such a positive person, who just wants people to be happy. It’s no surprise that Cindy has 185 5-star reviews. Thank you Cindy for everything! We are so grateful that we are able to have you in our lives and apart of the most special day in our Lives. What a lovely review! Thanking you from the bottom of my heart! It really means so much to me! Please give Gregg my love and wishing you both the very best of everything! She was amazing. She has a way with words and everybody loved what she said. She made sure we were feeling comfortable every step of the way. 10/10 would recommend! What a sweetheart you are! Thank you for your lovely review! I loved doing your ceremony and I wish you both the very best! If you have a photo of the 3 of us, I’d love to post it! working with Cindy was the BEST! working with Cindy was amazing! she made the whole experience just very enjoyable over all. she’s very personable and truly cares about the couples she works with. she helped us make custom vows that came out beautiful. 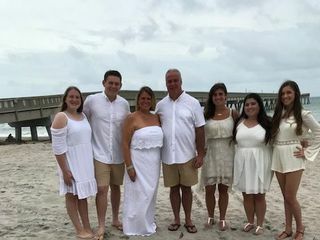 thank you cindy for being apart of our wedding day and helping it be the best day! Cindy was great to work with and I am happy I chose her to perform our wedding ceremony. 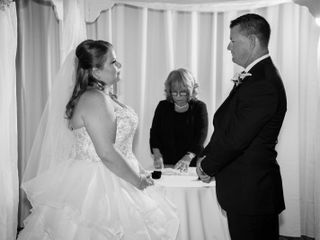 She will customize your ceremony to how you like and read it to you aloud a few times to make any adjustments you want and time it accordingly to how long you would like your ceremony to be. Everything was perfect. Thank you Cindy! Cindy was fantastic! She listened to all that my husband and I wanted in our ceremony and wrote a beautiful piece which incorporated everything. My husband is active duty and Cindy made included a special thank you, not only to him but those of our friends who travelled very far to be with us. 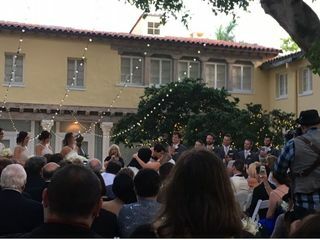 Many of our guests mentioned the message of the ceremony was perfect for us as a couple. Thank you Cindy!!! From the minute I spoke to Cindy on the phone I knew she was the one for us. She was soft spoken, kind, and open to our ideas, suggestions, and needs. She made our day more beautiful than we could have imagined. Everyone loved our ceremony and spoke about how smoothly things went . We will recommend Cindy to all of our friends and family and wish we her all the best in life. She truly is a wonderful woman and a pleasure to work with. Thank you Cindy, from the bottom of our hearts. Oh boy! You made my day!! Thank you for your beautiful review! Lovely, couldn't have asked for better! Cindy was a breeze to work with. She's responsive, helpful, and patient. When getting down to the final edit, she gave us helpful suggestions for our vows without being pushy. Day of, Cindy was dressed beautifully and happy to be there. We had an outdoor venue, and she maintained composure even as ants made their presence known. She just quietly shifted and never missed a beat. We loved working with Cindy, and will recommend her to everyone. It was such a pleasure to have Cindy marry us. Perfect. Absolutely beautiful Ceremony.Cindy did a wonderful job. Thank you so much Cindy. Everyone loved our ceremony. Much more than we expected!!! Amazing person. We had the best experience with Cindy for our wedding. We have also received many compliments from our guests on the ceremony. Cindy made the ceremony fit our vision and it was a great representation of us as a couple. We highly recommend Ceremonies by Cindy! I loved Cindy we just wanted a simple thing done but Cindy went way beyond it was so beautiful it brought me to tears and almost could not say my vows. Don’t think twice about picking Cindy she is the best! Thank you again Cindy. You were great to work with. I even had a few guests tell me how great the ceremony was. It was my pleasure. Wishing you a life filled with warmth and happiness! Please send a picture with the 3 of us if you have one. I’d love it! Thank you for such a fabulous review. I loved being your officiant! You both are so happy, we could all feel your love! Cindy was wonderful!!!! We loved her and how she made our day so special!! Thank you for your beautiful review. It was my pleasure to be your officiant. I hope that you and John are back home safe and sound! Did you get the photos from our “photographer”? That was very kind of her to send them to us! Cindy is phenomenal. From the moment we spoke on the phone, to our meeting at Starbucks, we knew she was going to be our Officiant. She puts her heart into her construction of our vows made personalized after a questionnaire and meeting in person. At my Wedding Cindy was there with me as the photographer took pictures, which was great. Vince and I had the most beautiful Wedding Ceremony by Cindy. We cannot say thank you enough to Cindy for your kindness and wonderful words in our ceremony. We love her dearly and made a friend for life. It was a Magical Day started by Cindy Ceremonies. I'd recommend her highly. 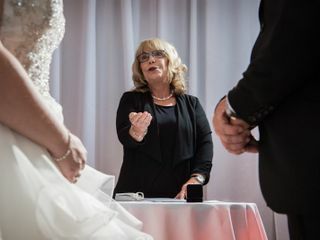 We had the pleasure of having Gail officiate our 3/24/18 wedding. She went above and beyond to make sure that our ceremony was exactly what we wanted it to be. After filling out a brief questionnaire, she prepared a draft of our ceremony and met with us at a local Starbucks to review it in person. It had my fiance and I near tears just listening to it at that first meeting! She made sure to customize it completely to our liking and she executed the ceremony flawlessly the day of. It meant so much to us to have such a beautiful ceremony and we owe it to Gail! Lovely and passionate. Had unique and unforgettable ceremony everyone talked about. Highly recommend, all around great! Cindy gives a beautiful ceremony and she has great ideas! Cindy was amazing. She truly took everything we wanted in our ceremony to heart, and made us feel so comfortable every step along the way. She is such a kind, loving, professional person!